We present a scheme for the development of a spot detection procedure which is based on the learning of latent linear features from a training data set. Adapting ideas from face recognition to this low level feature extraction task, we suggest to learn a collection of filters from representative data that span a subspace which allows for a reliable distinction of a spot vs. the heterogeneous background; and to use a non-linear classifier for the actual decision. 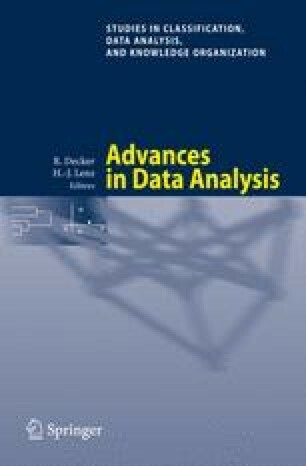 Comparing different subspace projections, in particular principal component analysis, partial least squares, and linear discriminant analysis, in conjunction with subsequent classification by random forests on a data set from archaeological remote sensing, we observe a superior performance of the subspace approaches, both compared with a standard template matching and a direct classification of local image patches.